Escondido has warmer summers and over 260 days of sunny days per year which makes it perfect for creating efficient solar energy with a solar panels system or land surrounding your home. Living in So Cal means we you are probably continuously operating your pool filter, air conditioning, and fans to beat the summer heat. A higher energy demand means an increased electricity bill and the easiest way to counteract those expenses is with a solar power system designed for your individual needs. We offer different financing opportunities with various tax and utility incentives to help lock in your electricity rates for many years. Is Your Home in Escondido Solar Power Compatible? A large percentage of homes and businesses around Escondido are using solar panels to produce green energy efficiently, but what made them choose to go solar? 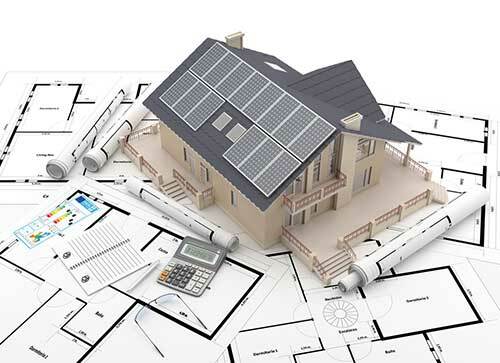 We know choosing a solar energy contractor in Escondido can be tough, but we are here to help. We frequently receive questions like; Is the solar tax rebate still available? How much does solar cost? How many solar panels do I need? What is the California Net Metering Law? Rest assured we will answer all of these questions and more during your free solar consultation. There’s no doubt we all will be paying more for power as the years go bye due to power companies like SCE continually raising rates each year that is unless you install solar panels and essentially lock in your electricity rate for decades. Escondido is a sought-after location in San Diego County due to its proximity to the I-15 freeway and surrounding hillsides. The city is growing at an accelerated rate with new neighborhoods like Hidden Trails appearing at the east end of East Valley Parkway and real estate values continue to rise which makes solar panels a wonderful way to improve the value of your home or property. Can Solar Panels Add Value To Your Escondido Home? Why Should You Hire A Local Escondido Solar Energy Contractor? CalState Solar has supported solar power customers in the city of Escondido for several years. We work closely with the city office and neighborhood HOAs to ensure building permits, and your solar panel install goes smoothly. We are located just West of the I-15 freeway not too far from you, and some of our solar installers live in the area. When you hire a local solar energy contractor, more of your dollars stay here in our area, and that continues to impact the city in meaningful ways. Whether you live where the 78 and the 15 freeways intersect or near the Elfin Forest Recreational Reserve to the San Diego Zoo Safari Park to Daley Ranch all the way to Hidden Meadows we are the best choice for your solar panel installation in Escondido. We provide solar services for the entire city of Escondido including Downtown Escondido near Grand Avenue between Centre City Parkway and Palomar Hospital to Old Escondido by Escondido Boulevard and Chestnut Street to Hidden Meadows to Broadway Laurashawn to Jesmond Dene and Montreux to Mesa Rock to Country Club to Country Estates to North El Norte. We also offer installation in the surrounding communities of Jesmond Dene, Hidden Meadows, Felicita Park and Rincon Del Diablo. We are a top sub-contractor for many of the biggest solar businesses in CA so you can trust us to not only help you devise a suitable system but build your solar installation stress-free and as promised.